Cloud9World covers a wide range of academic and social needs, which means a wide variety of funding sources are eligible to pay for it. The purchase affects the whole child so budget items for academics, behavior, literacy, school climate, diversity, mental health, counseling, social and emotional learning, anti-bullying, parent involvement, MTSS and PBIS all work. Cloud9World qualifies at the Federal level for Title I, school-wide programs and School Improvement Grants. Principals work with their districts to identify and direct the funds toward proven programs that increase students achievement. Other federal programs, such as Title II, Part A, targets the quality and effectiveness of principals and teachers. This program seeks to enhance the knowledge of teachers to improve student behavior, involve parents in their children’s education, and improve classroom practices. State funding varies and schools must refer to their state’s education department for more information on state-level initiatives. Money is frequently available for literacy improvement, character education initiatives, social emotional learning initiatives, and other school connectedness, parent involvement and school climate programs. Districts often dedicate discretionary funding to anti-bullying and behavior programs, local literacy improvement initiatives and sensitivity training on diversity. Both parties benefit when businesses sponsor the Cloud9World socio-emotional program at their local schools. Schools receive the books and materials at no cost and businesses receive positive publicity and good will that is well worth the investment. In addition, Chambers of Commerce, local banks and corporations with local headquarters have an interest in supporting the program to develop a competitive 21st century workforce. The primary mission of many foundations is to support educational causes and they are often looking for programs with a big impact on learning. Cloud9World will assist schools and districts in the application process for local and national grants by providing print and digital materials. 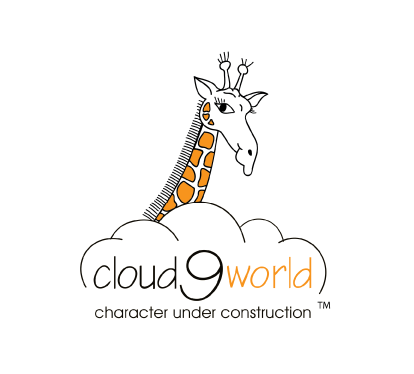 Parent organizations and individual donors have funded the Cloud9World program in their children’s schools across the country. Fund-raising activities can be used for the specific purpose of bringing Cloud9World into the school, providing a strong incentive for widespread participation.